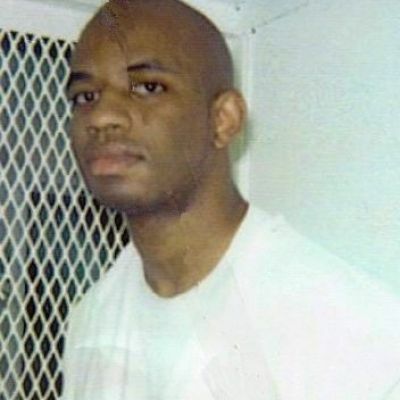 Ray Jasper III was executed shortly after 6 pm CDT, on Thursday, March 19, 2014, at the Walls Unit of the Huntsville State Penitentiary in Huntsville, Texas.Ray was 33 years of age.Ray was executed for the murder of David Alejandro in David's music recording studio in San Antonio, Texas.Ray spent the last 14 years of his life on Texas' death row. Ray grew up in a stable home.His father was a career military man and his parents were happily married.Ray was expelled from school in the 8th grade for possessing marijuana.He was then expelled from an alternative school.Ray began his criminal career at the age of 15 by stealing a bicycle.His crimes continued to escalate: possession of drugs, attempted burglary, an incident of violence against an off-duty police officer when he caught Ray attempting to break into a home. On November 29, 1998, aspiring rapper Ray Jasper and friends Steve Russell and Doug Williams, went to a recording studio owned by David Alejandro to record some music. Approximately one week before, Jasper and his two friends had decided to kill David so that they could steal some of his recording equipment and not have David identify them.Jasper wanted the money so that he could move out of his parent's house and into an apartment with his girlfriend and mother of his child.Jasper and one of his friends carried concealed knives into the studio.After recording music for approximately two hours, with David working the controls, Jasper decided it was time to kill David.Jasper grabbed David by his hair, pulled his head back, and slit his throat from ear to ear.David covered his throat in a desperate attempt to stop the blood.David jumped and fought for his life.He was stabbed an additional 25 times.The final stab wound was to the back of the neck.The knife was left in David's body.David’s body was covered with a sheet as the trio began ripping out equipment and loading it into the vans they had brought.Jasper fled the scene when an armed police officer approached.He was apprehended days later outside of his house. Jasper confessed to police on December 2, 1998.Jasper admitted to planning the robbery/murder and to recruiting the two accomplices.He described what happened in detail, which was later corroborated by his girlfriend, police officers, security guards, and physical evidence.In court Jasper admits to cutting David’s throat, however, he denies killing David, as the medical examiner attributed David's death to the additional stab wounds, not the slit throat. Jasper convicted by a jury and given a death sentence.Jasper’s two accomplices, Steve and Doug, each received a life sentence. Please pray for peace and healing for the family of David Alejandro.Please pray for strength for the family Ray Jasper.